The Intimus 16.50-6X50MM Cross Cut Shredder-655924 saves time and money. 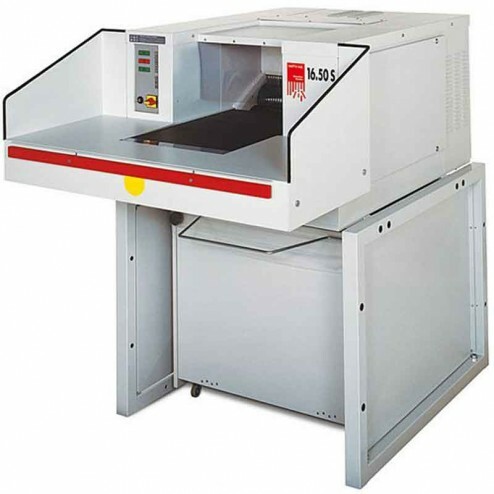 The 16.50 is a high performance large document shredder with a conveyor belt feed system. The paddles will hold fl at or crumpled paper in place for faster shredding. High cutting performance with the hardened steel cutting cylinders and a high power, thermally protected geared electric motor and stable drive.